PARIS (Reuters): Young, hip, urban, and male ... meet the fashion world’s new best friend. Luxury brands are raising their game in menswear, which is expanding at a faster clip than women’s clothing as styles loosen up and streetwear like hoodies find a new audience. Big fashion houses including French conglomerates LVMH and Kering are among those hiring eye-catching designers and investing in male attire. 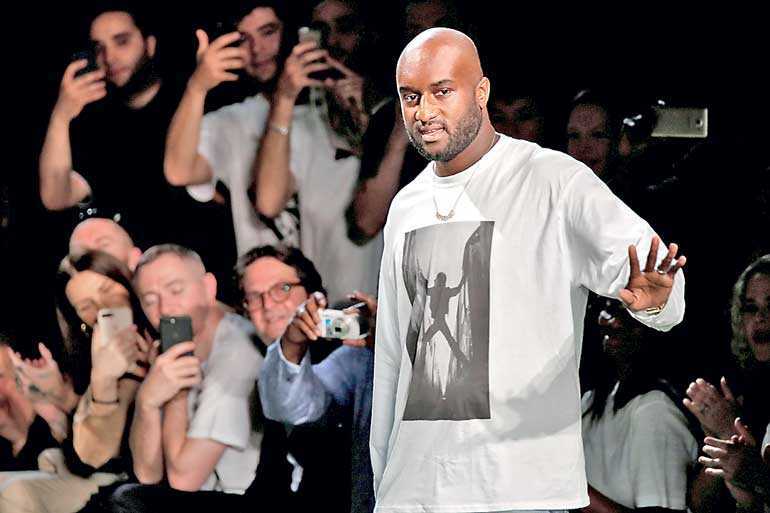 LVMH’s Paris-based Louis Vuitton summed up the zeitgeist at the latest run of men’s fashion shows that closed last week with a collection by its new DJ-turned-designer Virgil Abloh. This mixed casual anoraks, holster-style accessories and sleek trench coats, and drew hip hop royalty. “It’s more than a buzz. It’s a deeper trend,” Sidney Toledano, head of LVMH’s fashion group, said on the sidelines of a fashion show. LVMH brands do not detail earnings, though analysts estimate that menswear at top money-spinner Vuitton is 5 to 7% of revenue. Vuitton did not respond to a request for comment. 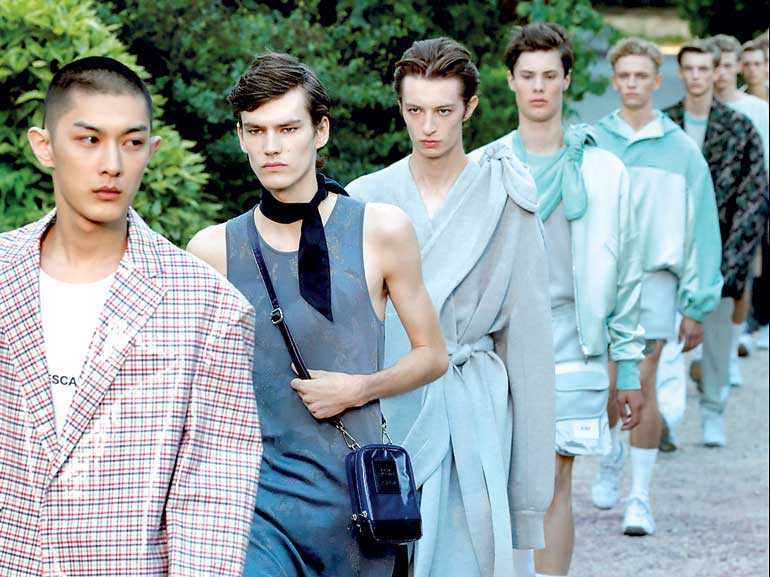 Meanwhile Kering’s fastest-growing brand Balenciaga, a one-time couture house which scored a hit with a line of chunky sneakers, says men are now among its biggest sales drivers along with millennials, or 20 to 35 year olds. Womenswear still had the biggest share of the broader $1.7 trillion apparel and footwear market in 2017, with menswear less than a quarter, Euromonitor data shows. Yet the market research firm forecasts men’s lines will outperform women’s between 2017 and 2022, with sales expanding by a compound annual growth rate of 2%. “This is due to men placing a greater emphasis on their appearance, fuelled by the rise of social media, and dress codes for men softening globally,” Marguerite Le Rolland, a consultant in beauty and fashion at Euromonitor, said. Brands are taking note, expanding their reach with Instagram campaigns and famous faces such as ex soccer star David Beckham who is an ambassador for the British Fashion Council. The growth of casualwear may entail some setbacks, with tailoring – usually items that are more expensive than sportswear - at risk of taking a hit. Sales of men’s suits fell by $700 million between 2012 and 2017 in Western Europe, Euromonitor data showed, contrasting with growth in premium jeans. LVMH’s Toledano – who oversees LVMH labels like Celine, which is due to launch a men’s line – said tailored styles were still doing well, however, adding that sales growth was spreading to accessories and shoes. Upstart labels are also keeping big brands on their toes. “The men’s business has exploded in the last five years,” said Roopal Patel, fashion director of Saks Fifth Avenue, adding that the US department store was bringing in newer menswear-focused labels like France’s Ami, or Off-White, the streetwear brand founded by Vuitton’s Abloh.